Country pursuits hold a special significance for Huntsman; the house’s history is inextricably linked with riding, hunting and shooting. 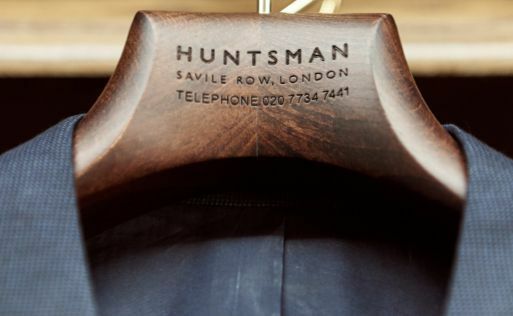 Our founder Henry Huntsman was (as the name suggests) a keen sportsman and when the house was founded, in 1849, it quickly gained a reputation as London’s premier sporting and shooting tailors’. Today, we take great pride in our heritage. 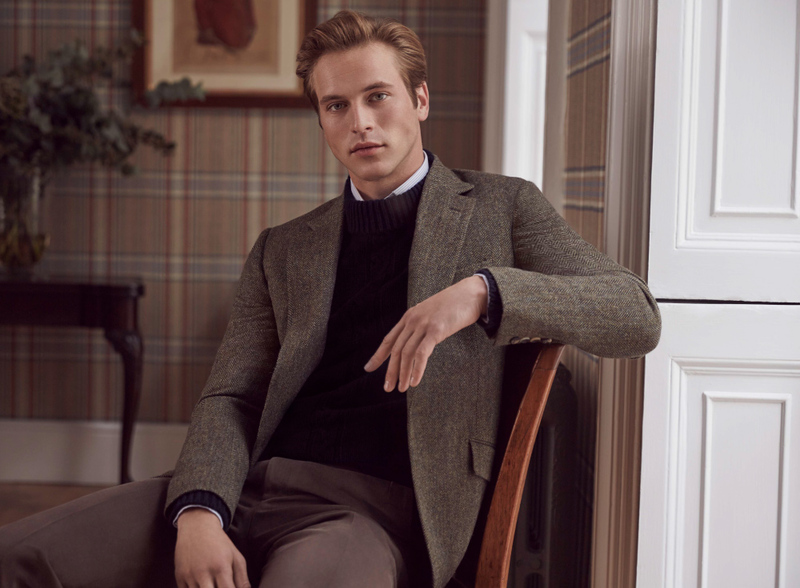 Huntsman’s sporting customers have ranged from George V and Clarke Gable – those Huntsman safari suits in Mogambo – to Eric Clapton and the Earl of Cawdor. Our famous stags’ heads were left by a customer who came in to fit his shooting suit in 1926 and a pair of Henry Huntsman’s very own breeks are still proudly on display at our Savile Row shop. As with all traditional British sports, it’s important to approach the season suitably prepared and to understand its foibles. Doubtless, many Huntsman customers will be seasoned sportsmen, but it’s important to ensure that your shooting clothes are up to scratch. It was Edward VII who said that dressing appropriately is as important as tipping your loader and bringing a suitable thank you gift for your host. 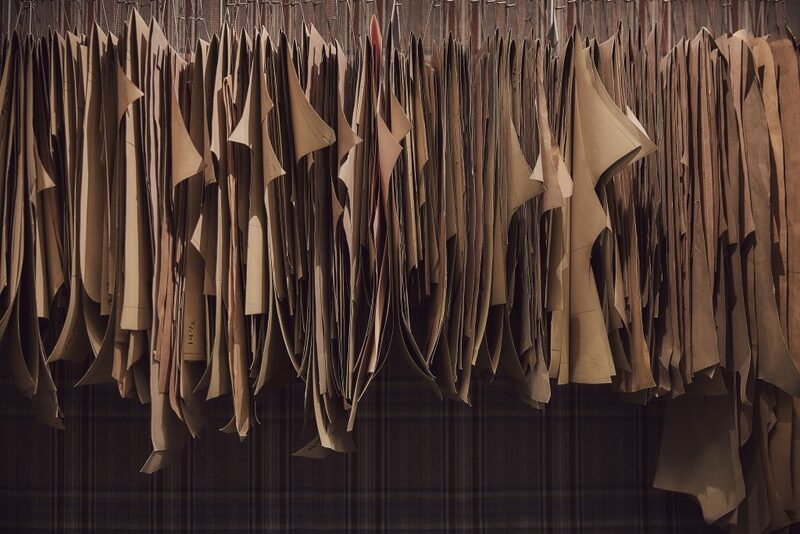 Huntsman is well positioned to ensure that not only your suit but all of its furnishings are beautifully made and fit for purpose. First, your suit. Not only should it be elegant and comfortable, it must take account of various shooting-focused design features. 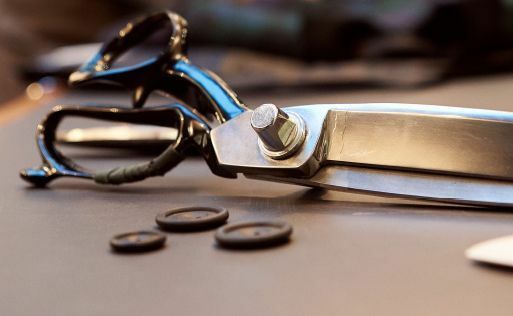 Action backs, half-belts and bellows pockets all require specialist attention to tailor correctly, as do shooting vests and breeks. Suits can be cut with matching breeks, or separate coats can be paired with plus-twos, fours or eights in heavy moleskin, thorn proof or whipcord. 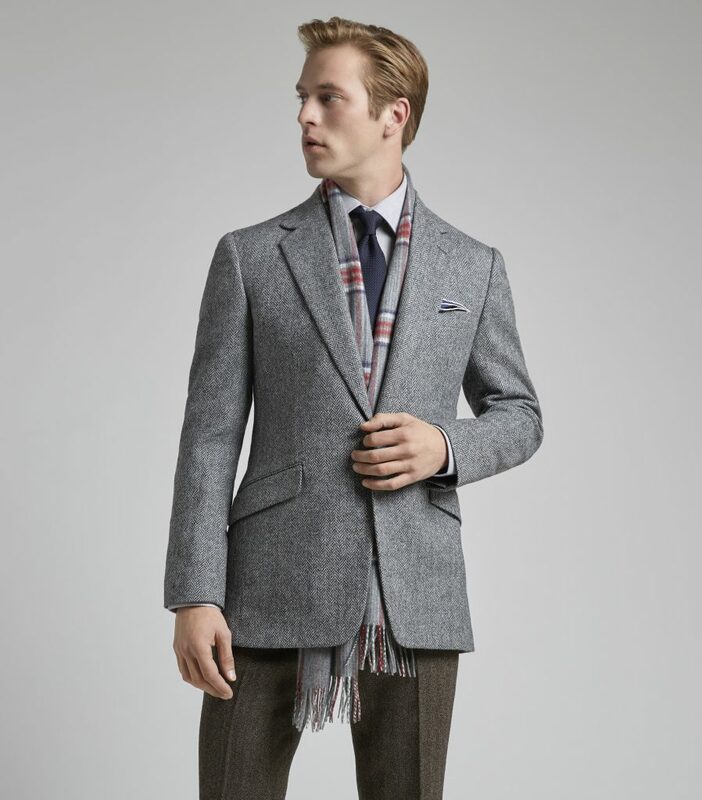 We recommend that breeks and coats be cut in the same cloth and can advise clients on the right fabrics and styling details accordingly. Our Client Managers are there to understand your every need this season. 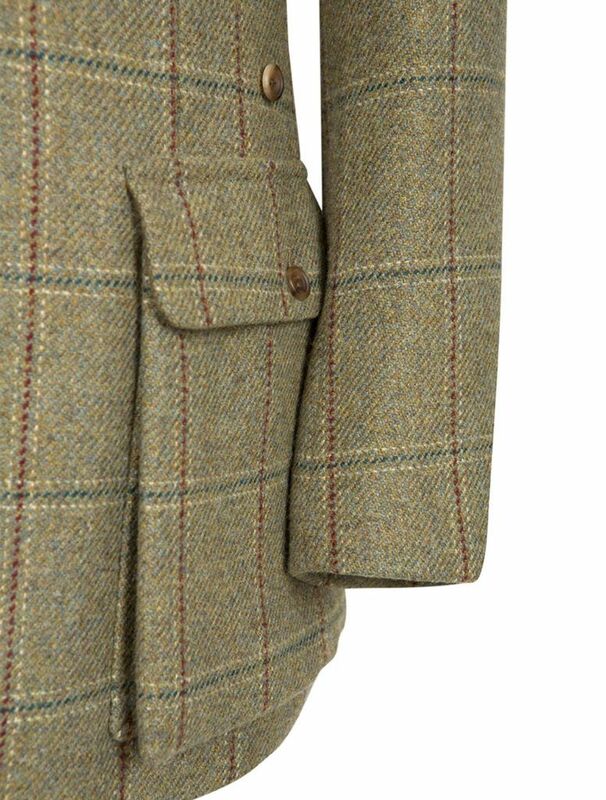 Perhaps a light Gabardine is preferred for the start of the season when shooting grouse and early English partridge in warmer weather. Or, as the temperature drops, why not include a fishtail brace back to your shooting trousers for that extra bit of warmth whilst remaining inherently elegant. Even the lining is important. 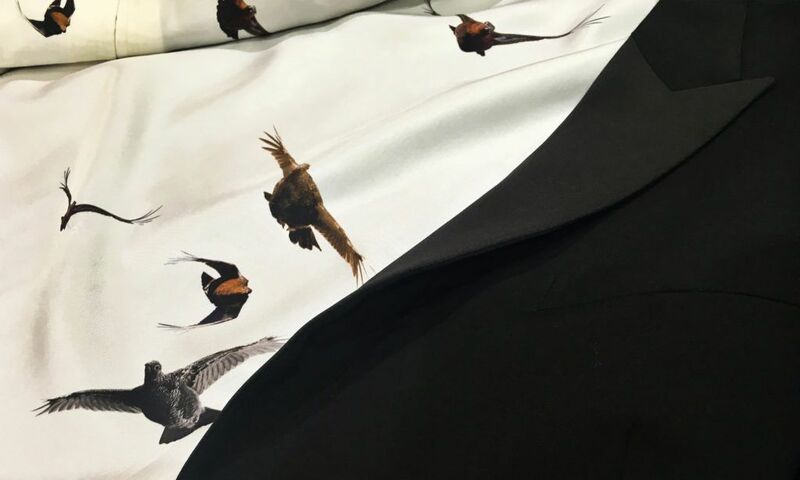 Huntsman customers now have the option to digitally print their favourite piece of artwork or photograph into the lining of their jacket; such as one customer’s beautiful jacket lining of ‘Grouse in Flight’ as shown below. Remembering shooting is of course not a Gentleman only sport, we feel it’s important to highlight our womenswear capabilities, with Campbell Carey at the helm. 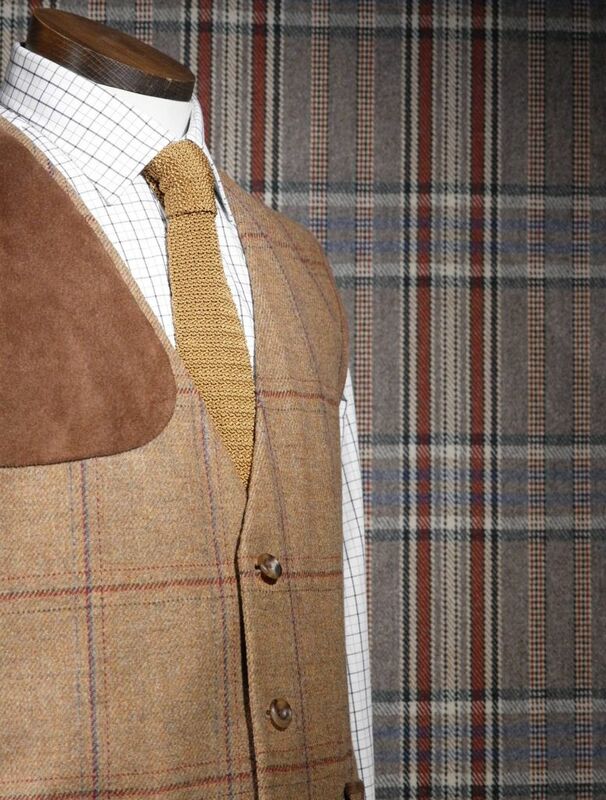 His ability to reconcile form with function creates elegant shapes and silhouettes in ladies bespoke shooting wear. 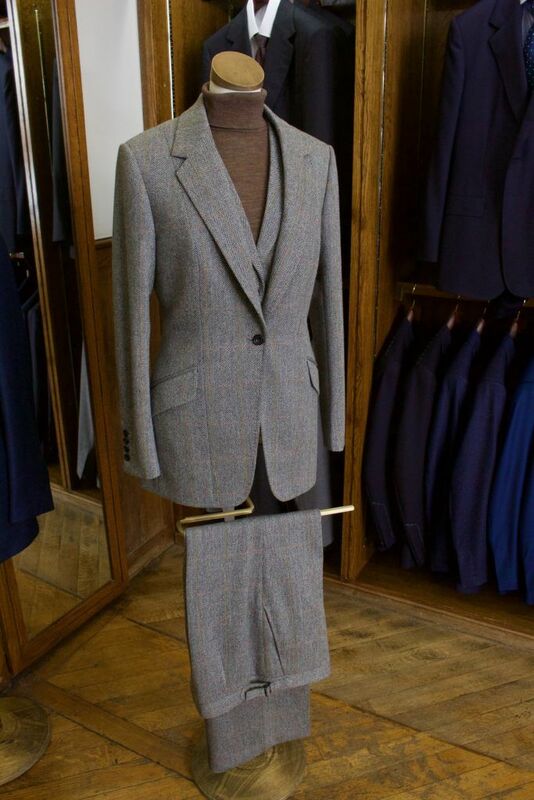 Huntsman has made some exquisite tweed suits and plus 4’s for women . 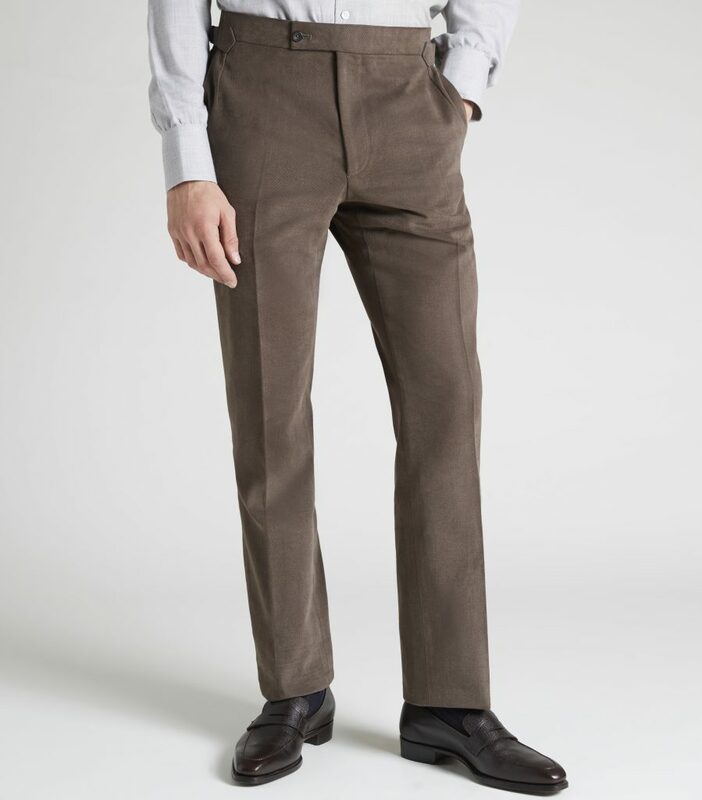 Why not go for some trews or cigarette trousers to really stand out at the shooting dinners? 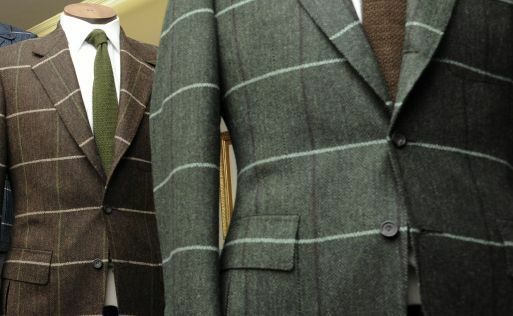 Of course, Huntsman also enjoys a long tradition of designing house tweeds. 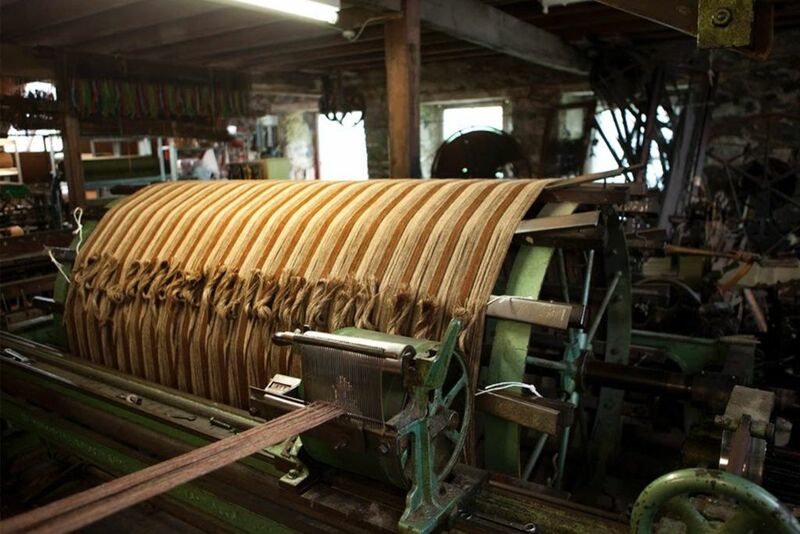 We have a long tradition of weaving our tweeds on Islay, by the oldest mill in the Inner Hebrides, with careful attention paid to our signature checks. 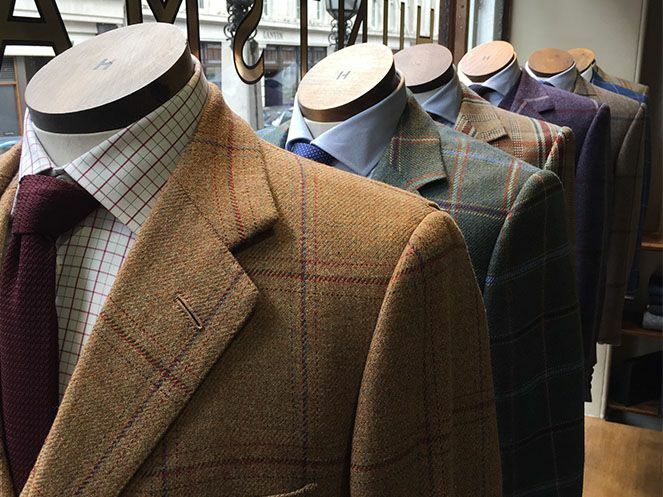 Customers can choose from any of these iconic cloths, but can also now commission their own bespoke tweed. 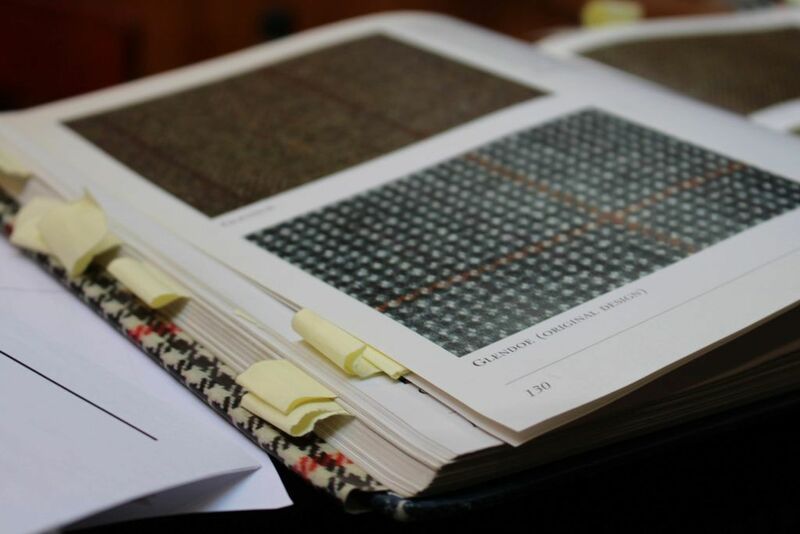 Our team will work with clients to design a tweed with personal significance, with designs mapped onto a garment using cutting-edge design software. Once the design is perfected, clients have the option to travel to Islay with the Huntsman team to experience their tweed on the loom. The result is a bespoke suit that is completely unique, cut in an authentic cloth that bears special significance, available only to the customer and his family. With the foundation of your outfit taken care of, there’s plenty more to think about. Suits should be dressed with appropriate ties, we advise discreet knitted ties or our stag’s head silk tie, which is well suited to shooting. 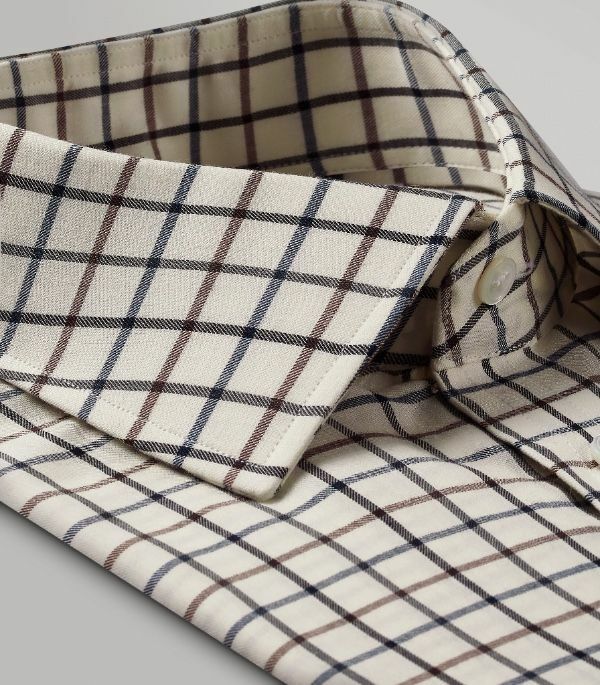 To the beautifully contoured cut of Turnbull & Asser, we have added the Huntsman eye for detail and classic tattersall pattern to create the perfect shooting shirt. It also pays to pack some warming knitwear, either to layer under your shooting vest or to wear post-shoot. 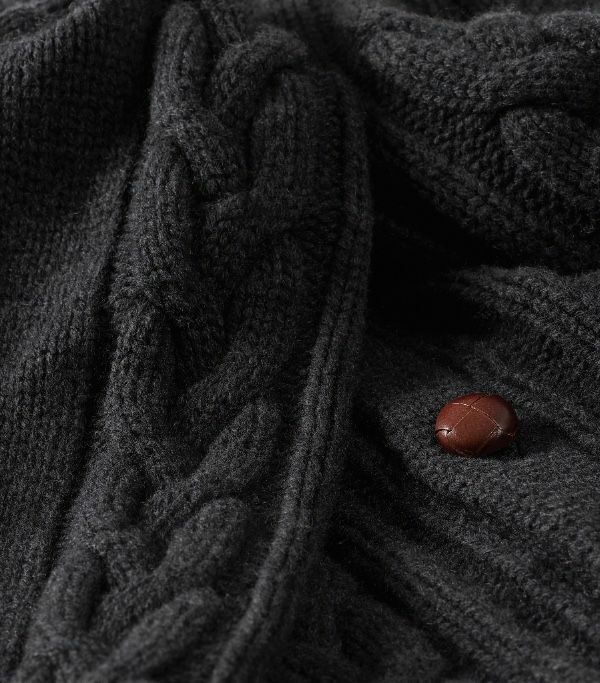 We offer a trio of cable-knit cardigans, knitted in a traditional Welsh workshop in the finest three-ply Himalayan cashmere. 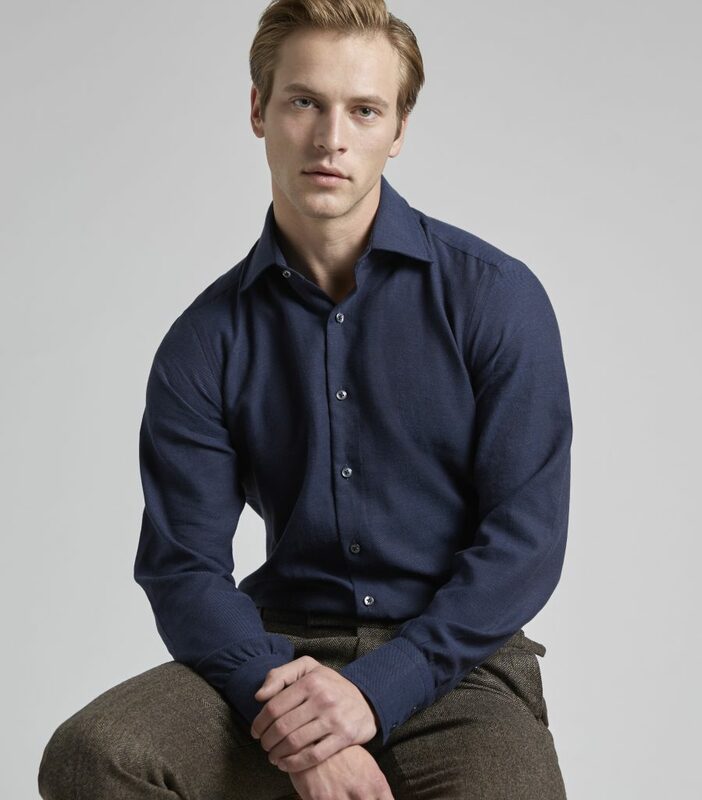 In navy, charcoal and dark olive, they lend themselves to country dress beautifully. This season we are introducing our beautiful lightweight John Smedley polo necks. 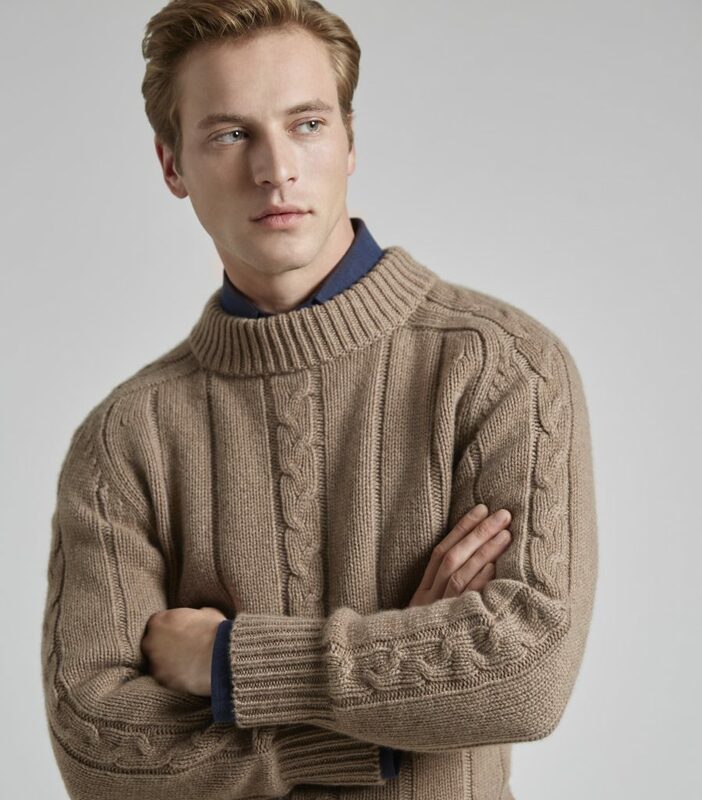 A stylish way to keep one’s neck warm; the classic fine merino wool roll neck style is the perfect layer for a day of comfort in the cold. 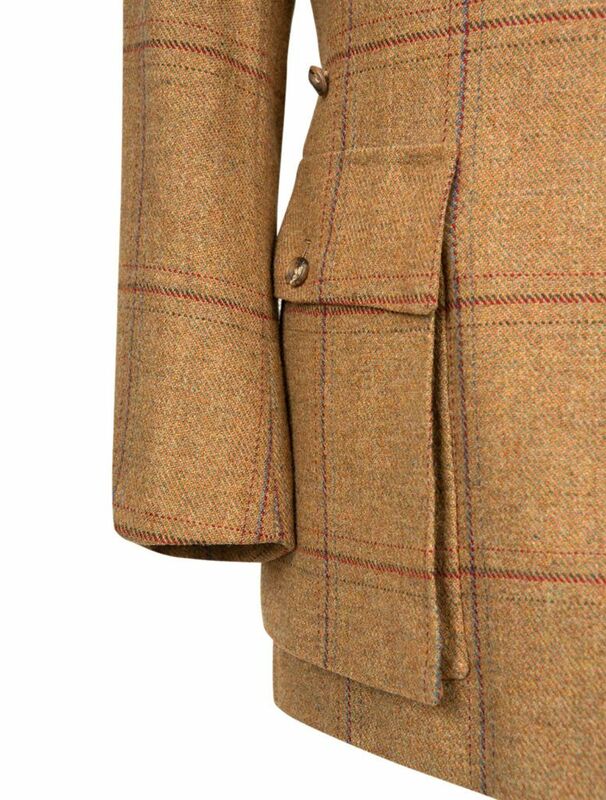 Created in 6 different colourways, that match with our wealth of tweeds. A tweed cap is a final, practical addition. 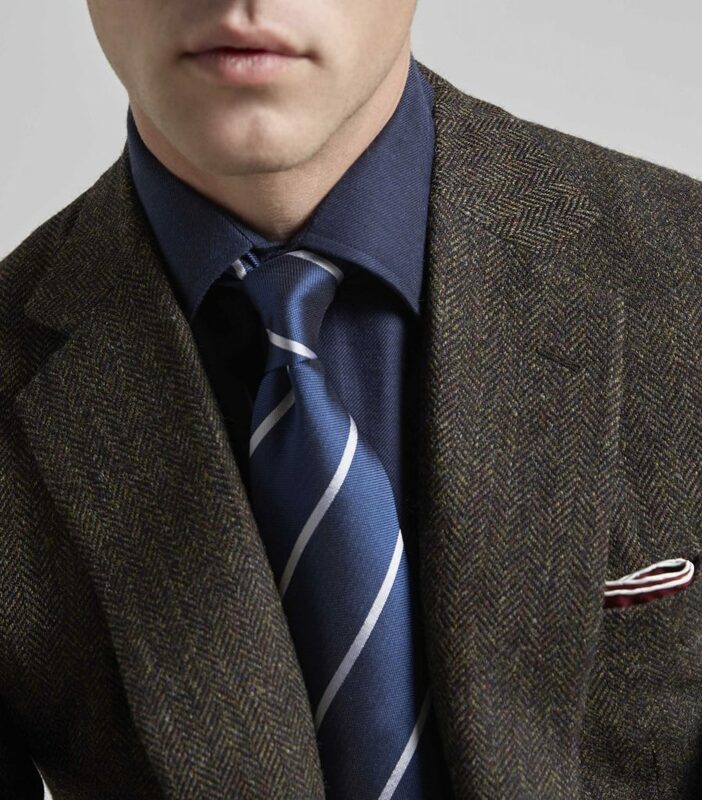 We are very happy to make caps in matching tweed to your suit, but also carry a selection in store and online. 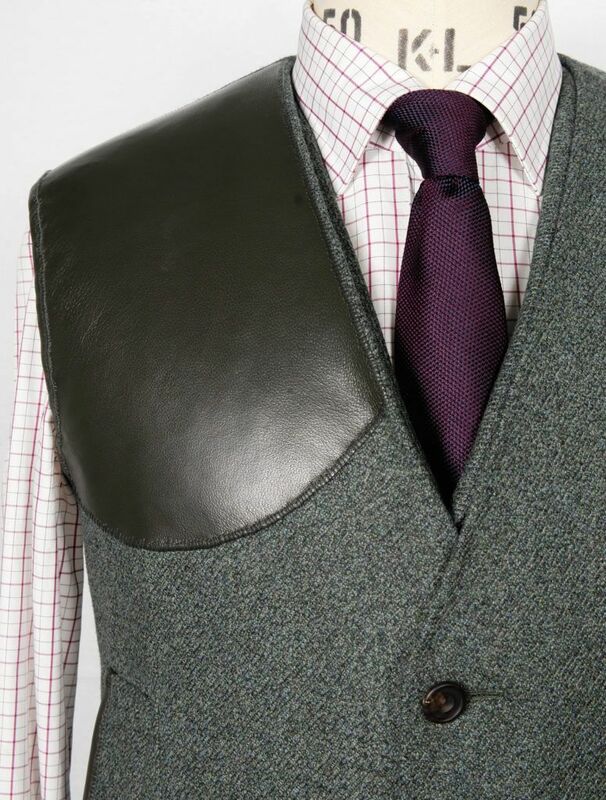 Huntsman also enjoys innovating where appropriate; if you’re looking for a shooting vest with a difference, customers can request that the vest’s shooting patch be lined with technogel. Technogel is a soft, lightweight gel that retains its shape and is highly shock-absorbent – perfect for eliminating the kick-back from your gun. We offer a range of accessories that make for the perfect gift for your shoot’s host. 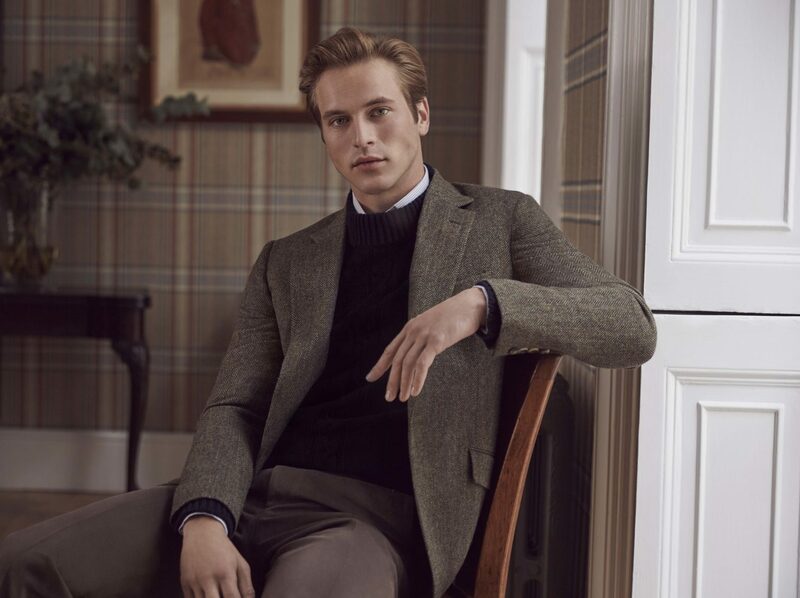 Huntsman produces a range of fine cashmere scarves, box-cloth braces (which the gentleman always needs in his wardrobe) and finely-turned 18-carat gold and silver cufflinks should you stuck for gift ideas. 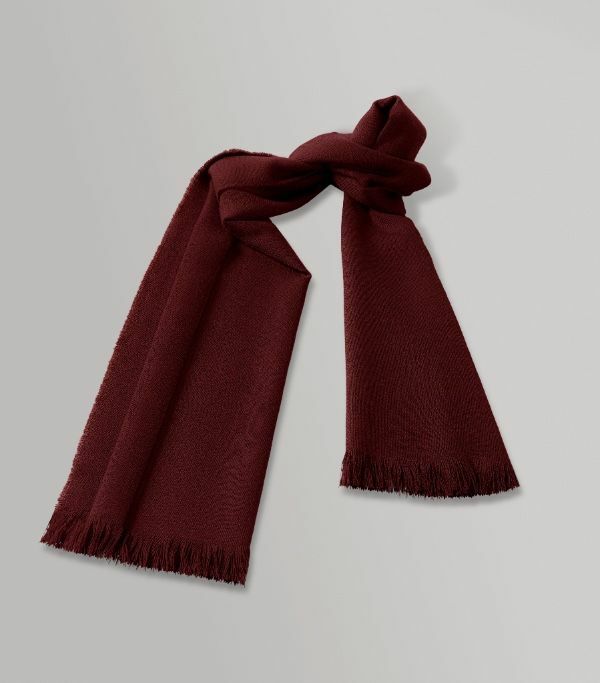 This season also sees the introduction of beautiful cashmere blankets – the perfect gift to warm your hosts shooting lodge as the temperatures begin to drop. The shooting season ushers in an exciting time of year, bringing with it a rare opportunity to embrace a Great British tradition. 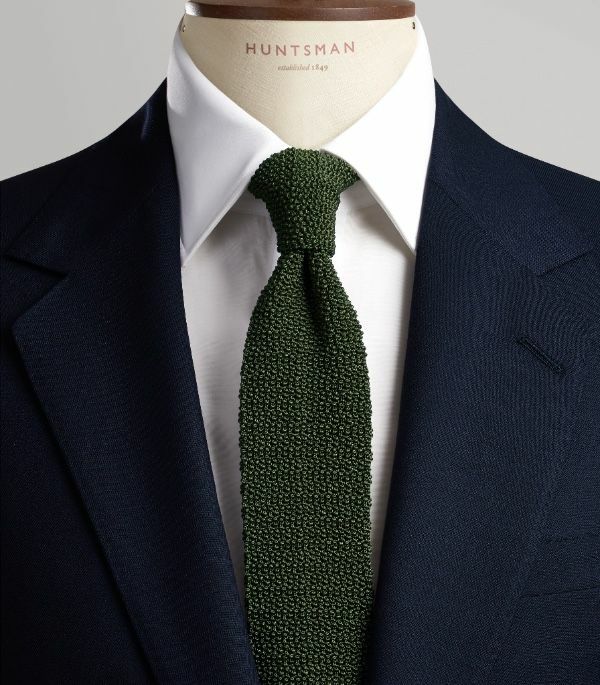 Allow Huntsman to be of assistance for all your sartorial needs in the field this season.